Struggling to think of what to buy for your loved ones this holiday season? If they suffer from back pain one of these gifts could change their life. Now I know what you may be thinking. Getting someone a gift for their back pain sounds pretty uninspiring right? I mean we all hate getting practical gifts. I've lost count of the amount of times I've excitedly unwrapped presents on Christmas mornings and birthdays only to find socks, pyjamas and toiletries inside. And your heart sinks a little (especially when the toiletries are not even ones you use and you haven't worn pyjamas since 9th grade!). Now that sounds pretty ungrateful of me (I really do appreciate the gesture), but it's just some things are not meant to be given as gifts. And you may well be thinking that something to treat back pain also falls into that bracket too. However I want to offer up a few reasons why this is not the case and hopefully get you to change your mind. Because getting someone a gift for their back pain could be one of the most thoughtful and helpful gifts you could possibly get for them. Back Pain Products Make Better Gifts Than Socks! Have socks ever made it onto anyone's Christmas wish list? Ok I'll stop with the sock bashing now, as we all use them everyday and they are pretty handy to say the least! ​But I want to make the distinction between practical gifts like this and getting someone a gift to help them with their back pain. Because if you have a loved one with back pain you'll know just how much it can take over their life. It can make them less active ​and stop them from doing the things they love to do. The pain can also make working a problem and it can affect their home life too (and that of their families). They may also find that sleep can be hard to come by. And all of these factors combined can have a big impact on them mentally and emotionally, making them angry, anxious, depressed and stressed. Well the good news is there are a variety of items on the market that can do just that. iReliev Rechargeable TENS & EMS Unit. 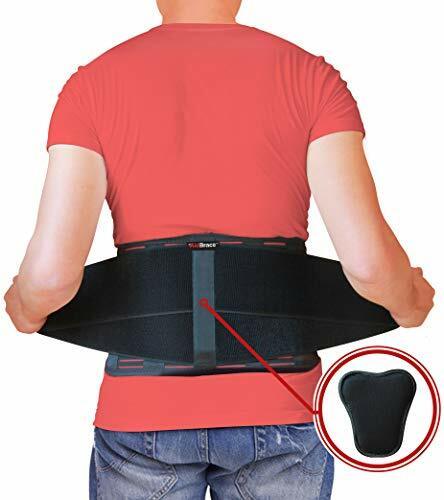 Flexguard Back Brace Posture Corrector. Ergohuman High Back Swivel Chair. 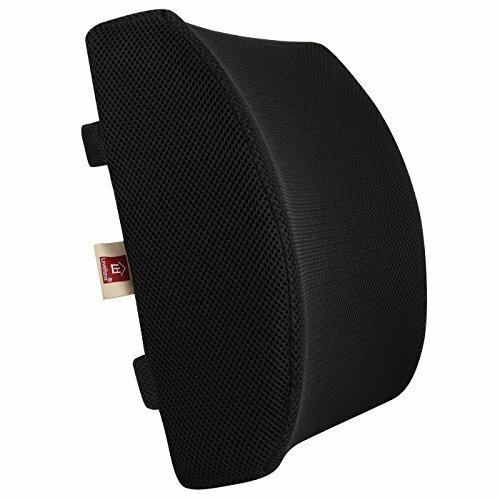 LoveHome Memory Foam Lumbar Support Cushion. 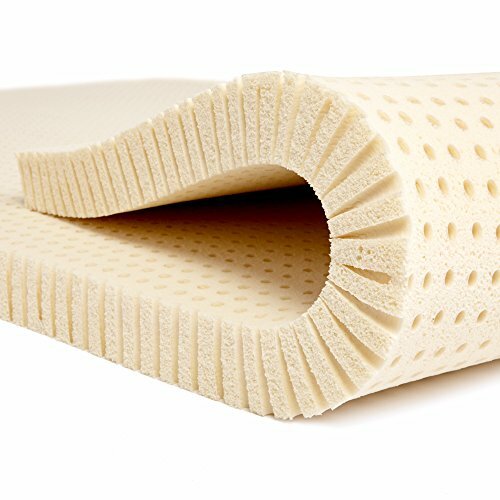 The Pure Green Natural Latex and Lucid Memory Foam Mattress Toppers. Passes to a yoga or pilates class. So read on to see which one would make the ideal gift for your loved one. Puppies and back pain products are for life, not just for Christmas! Just like giving someone a puppy, buying someone the right gift for their back pain is giving them something that will last far beyond the festive season. In fact it could give them relief from pain and improve their lifestyles for months and years to come. As it's a gift your loved one will use over and over. And if you asked most back pain sufferers what their ideal gift would be they would tell you getting rid of their back pain. At least I would anyway! So take a look at the following recommendations of great gift ideas that will really help someone with back pain. I've included a variety of different items covering different problems so there should be something for everyone in here. And I'll start with a gift that is great for pain relief, which is a TENS machine. 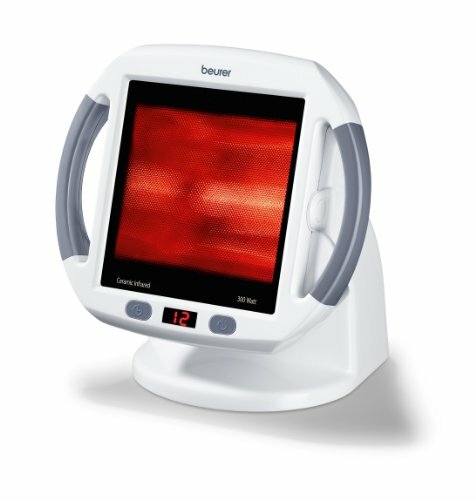 TENS machines are a great way of relieving pain and muscle soreness. ​They work by delivering electrical impulses through the pads (which you attach to your area of pain) into your tissues which stimulate both your nerves and your muscles. By stimulating your nerves the electrical impulses distract your brain from the pain, blocking pain signals from transmitting and giving you some respite. This stimulation also releases endorphins which are the body's natural painkiller. Stimulating sore muscles and the surrounding tissues increases blood flow to the area which helps them to heal and loosen. All of which makes using a TENS machine a great way of controlling and managing pain and a good alternative to taking pain medication (and without the side-effects). Plus the tingling sensations from the electrical impulses are very satisfying! So if this sounds like something that would benefit someone in your life I'd recommend getting them the iReliev Rechargeable TENS & EMS Unit. As this is a portable, lightweight and easy to use TENS machine that has a few advantages over it's competitors. Firstly it has 25 different intensity levels so you can adjust it to the ideal strength for you and your pain. Plus there are 14 pre-set programs so it's super easy to get started straight out of the box. This includes 8 TENS programs designed to give you pain relief, as well as 6 EMS (electrical muscle stimulation) programs to condition your muscles. And finally it has a backlit display that makes it easy to read, plus it's rechargeable so doesn't need new batteries constantly. All in all a great gift and something any gadget lover will enjoy using! To learn more about TENS units click here. You may have seen bodybuilders wearing back support belts at the gym to help them protect their back when lifting heavy loads. Well they are also a great gift for anyone who works a manual job during the day and is exposed to labour-intensive activities such as heavy lifting and digging. The idea behind wearing a back support belt​ is that they work alongside your core muscles to support and stabilise your spine. Squeezing and compressing your abdomen which gives your lower back much greater support as you work. Limiting your range of motion which will help you to avoid putting your back out through overstretching. Helping you to maintain a good posture. It's hard to slouch wearing one of these! All of these things will reduce the strain and load on your lower back. Which will make working a lot less dangerous and hopefully a lot less painful! So if you want to treat the worker, gardener, or DIYer in your life I'd recommend giving them the Aidbrace Back Support Belt. As this belt is one of the best on the market for providing strong support, which makes it ideal for those who regularly get stuck into physical work. It's tough and durable so will withstand heavy use. ​A great assistant for a busy worker! However do remind the recipient that while these belts ​are extremely helpful they won't make your back invincible as some people mistakenly think. So don't overdo it! To learn more about back support belts click here. Use special discount code BACKONSITE at checkout to get 15% off the Spand-Ice Revive Tank. This offer is exclusive to Back On Site readers. I'm sure anyone who has had a bad back in the past will know just how good it can feel to have a hot bath or to lay down on a bag of frozen peas when your pain feels intense. Applying ice when you have suffered a fresh back strain or injury helps to reduce swelling and inflammation and speed up the healing process. Applying heat to sore and tight muscles helps them to loosen and relax. However to do this can be time-consuming as it forces you to take time out to sit or lay down while the heat or ice is working it's magic. And this is one reason why the Spand-Ice Revive Tank is such a fantastic gift to buy for someone. Because wearing one allows you to apply heat or ice to your lower or middle back on the move. Which means you can treat your back exactly when it's needed......while it's hurting you during the day! The tank top design comes with two pockets (lower back and middle back) into which you place gel packs that can either be heated up or frozen. This holds them in place against your back as you move around so you get maximum benefit. The top is made of high quality, lightweight, and breathable material which means it's comfortable and cool to wear. And this comfort encourages movement which helps you to stay more active and productive. Which is great because staying active is the best thing you can do to maintain a strong, healthy and pain-free back. So if you want to get someone a gift that will take away their pain while they are working, exercising, and going about their daily activities, I'd thoroughly recommend checking out the Spand-Ice Revive Tank. As not only will it help them to stay more active, it will also free up their spare time for doing more fun activities than treating their back pain! You can also get one for the women in your life by clicking here. And don't forget to use the code BACKONSITE to claim your 15% discount. To read my full review of the Spand-Ice Revive Tank click here. As mentioned previously, applying heat is a great way to help your aching back muscles to loosen and relax. Because this heat increases blood flow to the area or pain and tightness, which delivers the oxygen and nutrients that your muscles need to heal and repair. It also irritates your skin's sensory receptors, which can override the sensation of pain by blocking pain signals from reaching your brain. And this heat will also increase the flexibility in your stiff joints too. As well as encouraging the release of endorphins, which make you feel good and are the body's natural painkiller. So applying heat to your back when in pain is all great news. As it's soothing, relaxing, releases tension, and eases general aches, pains, and cramps. So a great gift idea for someone with back pain is the Beurer Infrared Heat Lamp. Because by using it you can get the benefits of heat therapy in your own home, as the 300 watt lamp delivers infrared heat to your back muscles to help relieve your pain. It also has a tilt mechanism which means you can adjust it to fire exactly where you need it to go. Plus it's safe to use as it has a timer, automatic shut off function, and a 100% UV blocking screen. So one of these heat lamps makes a nice gift for anyone that needs to relieve back pain and tension. Anyone with back pain will be familiar with stiff, tight and painful muscles. As they can make every movement a struggle and really affect what you are capable of doing throughout the day. And these stiff and tight muscles are usually the result of muscle knots. These knots form blockages that trap toxins and waste inside the muscles, which irritates them even more and causes painful inflammation. So to get relief you need to find a way to unblock and release these muscle knots so that the waste and toxins can be flushed away. Now lots of people try to deal with their muscle knots with regular massages or acupuncture sessions. And while these work great the expense of these sessions can really add up over time. So if you want to help save someone money and still achieve the same result then get them an acupressure mat instead. Now these mats may look a bit strange on first glance as they are like a modern day bed of nails and contain thousands of plastic needles. What they are is extremely effective. As by laying down over these needles your body weight and gravity presses them right into the pressure points of your body, which stimulates them and helps tight muscle knots to release. Which will increase blood flow to the area and help to reduce muscle tension and pain. And it's not just your back pain that these mats are good for. As they can also help people to relax, sleep better, get rid of headaches, and lower their blood pressure. Not bad for just laying down! So if this sounds like the kind of gift someone you know would appreciate I'd recommend getting them the Nayoya Acupressure Mat. As this mat is well made, lightweight and portable, so it'll last for a long time and you can easily take it with you on holidays and trips. To read more about acupressure mats click here. Foam rollers are another great way of releasing painful muscle knots without having to spend lots of money on massages. To use one you place it under the area of your body that is in pain, rest your weight on it, and roll up and down slowly over it. This stimulates the trigger points within your painful knot which causes the knot to gently spasm and release (this is a very satisfying feeling!). These foam rollers are great as they can get right into hard to reach spots. There is an increase of blood flow to the damaged muscle which delivers the oxygen and nutrients it needs to heal and recover. Pathways are unblocked which allows harmful waste and toxins to be flushed away. And by regularly using a foam roller you can also improve flexibility, circulation and range of motion. Which makes them a great tool for people to self treat their pain. So if you think this would make a great gift for someone check out the TriggerPoint Grid Foam Roller. This one is a good choice as it's firm and textured so it can get right into the spots you need it to get into. It's also the model that is commonly used by physical therapists and professional athletes to help them recover from and prevent injuries. So you can be assured you're getting top quality with this one. To find out more about foam rollers click here. You can also give yourself a home massage with far less effort by using an electric massage cushion or pillow. This will give you similar benefits to using a foam roller. In that the rotating nodes within the pillow will deliver a deep and kneading shiatsu massage which helps your muscles to relax and your knots to release. Increasing blood flow and aiding healing and health. So they can be a great help to people with back pain to get a little relief when pain rears it's ugly head. And one that makes for a great gift is the Zyllion Shiatsu Pillow Massager. As this pillow is ergonomically shaped to fit snuggly behind your neck, upper back, or lower back. So you'll remain comfortable and relaxed while using it. And it comes with a strap to hold it in place on your chair, which means it's great to use in both the car and the office. It also has a 'massage with heat' option, which helps soothe and relax your aching muscles even deeper. So if you want a little gift that can help a loved one with back pain relax at home, work, or on the move, this massage pillow could do the trick. Maintaining a good posture is extremely important if you want to live a life free from back pain. And if your posture is off then this force isn't distributed evenly, leaving certain areas of your body under increasing pressure and strain. Which leads to aches and pains​ in this area and can cause painful muscle knots to form. So learning to maintain a good posture at all times is a great​ idea for anyone, but especially so for those that already suffer from back pain. Keep your whole body balanced and aligned. Improve your breathing and oxygen intake. Give you confidence and put you in a better mood. All great benefits for your overall health. However retraining your body to maintain a good posture can be a difficult thing to do ​as old habits die hard. And it's all too easy to find yourself slouching again without even realising it. Which is where using a posture corrector​ can be a real game changer. Because this will encourage your body into an upright position that will keep your neck and spine in correct alignment and won't allow you to slouch. And a good one for this purpose is the Flexguard ​Back Brace Posture Corrector. 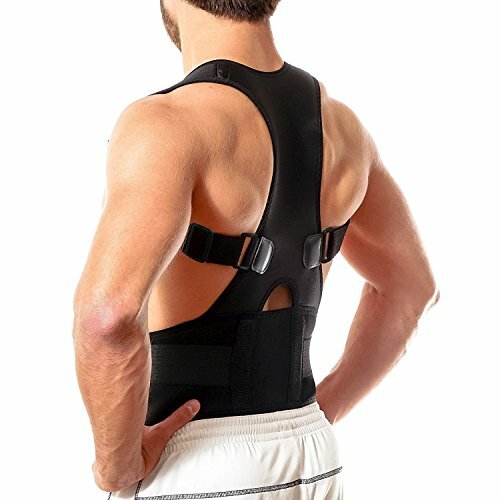 This posture brace is great because it's a combination of straps that go around your shoulder and a belt that goes around your waist. It pushes your shoulders back and straightens your spine. While also supporting your core muscles in your lower back area. Both of which will reduce the strain on your body and spread the force of gravity evenly instead. And wearing this brace will train and encourage your body to maintain a good posture even when you are not wearing it. To learn more about posture braces and correctors click here. Sitting is the new smoking (or so they say). Now while I wouldn't go that far there is no doubt that sitting down for long periods of time can be damaging to your health. And anyone that has to sit down for a few hours each day will know all too well how it can make your back feel really stiff and painful. There are 3 main reasons why is happens. When you sit down the vertebrae of your spine become compressed which over time leads to a squeezing and weakening of your spinal discs, meaning they are less able to support and protect your spine and it's movement as they should. As you sit the muscles that support your spine remain inactive and weaken, which means your spine has less support and is put under more strain. People tend to sit with an awkward posture that increases the pressure on their back. And what makes it worse is when you sit in a crappy and cheap one size fits all office chair. Because these chairs have next to no lumbar support, force you to sit with an unhealthy posture and just make the whole sitting problem even worse. 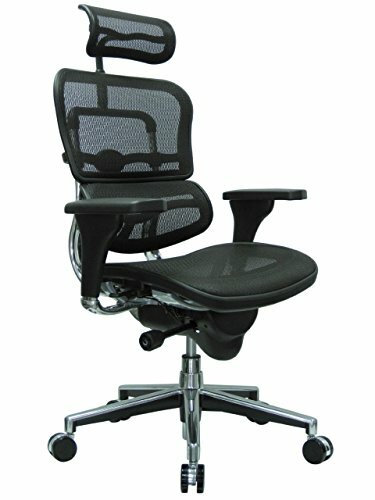 So a great gift for someone who suffers back pain from sitting behind the computer is to get them an ergonomic office chair instead. As these chairs are fully adjustable, so you can get them to fit your body like a glove. They provide good lumbar support that protects your lower back and encourages you to maintain a healthy posture as you sit. They have a tilt control function that allows your core muscles to remain active and prevents them from weakening. You can adjust the height of the seat and the arms to get your sitting ergonomics perfect for maintaining the health of your back. And a great example of an ergonomic chair that is great for the health of your back is the Ergohuman High Back Swivel Chair. This has excellent lumbar support, is fully adjustable, and helps to distribute pressure evenly as you sit which takes the strain off your lower back. However it does come with a price tag to match it's quality, so if you'd prefer a less expensive alternative check out the Space Seating Professional Airgrid Chair instead. Buying someone a new chair is a great idea but it can also be a pricey one. So if you want to help someone deal with pain from sitting without going the whole hog, you could get them a lumbar support cushion instead. As these cushions can breathe new life into tired and old chairs by providing lumbar support and helping you to sit with a healthier posture that is less stressful on your back. Because when you sit in a chair without lumbar support your back flattens against it. This creates a 'C' curve in the spine which increases the pressure and strain on your lower back. However by placing a lumbar support cushion between the small of your lower back and the chair you are encouraged to sit with a healthier 'S' shape in your spine. This is why lumbar support cushions are commonly recommended by chiropractors and physicians. And the one I'd recommend you buying as a gift for your loved one is the LoveHome Memory Foam Lumbar Support Cushion. This one is good because the memory foam provides the support you need to stop your back flattening but also remains comfortable to use. And the mesh cover means it's breathable so you won't get hot and sweaty while using it. Which makes it a great gift for someone as it can be used in the office, on the sofa, and in the car. So you're getting someone an inexpensive gift that can help them sit with a healthier posture throughout the day with one of these. Far more of us are using laptops nowadays rather than traditional desktop PCs. And in the main this is a great thing. Because laptops are portable and allow you the freedom to work and play ​without being tied to your desk all day. However they ​do come with one major drawback which can lead to people developing back, neck and shoulder pain. And this makes it impossible to maintain a good sitting posture as it throws your neck and spine out of alignment. Which puts your body under constant pressure and strain. But one way to remedy this issue is to use a laptop stand and ​a wireless keyboard. As by doing this you can raise the screen of the laptop to a height where you are looking straight ahead at it rather than down. Easing the pressure and strain on your body and making back, neck, and shoulder pain a thing of the past. 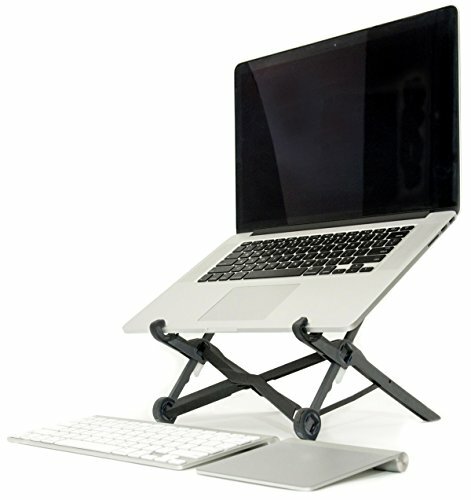 And the best one on the market for this is the Roost Laptop Stand. As this is lightweight, easily adjustable, and small enough to slip into your bag to carry around with you. So you can safely use your laptop on trains, in coffee shops, and anywhere else that makes a good temporary office. 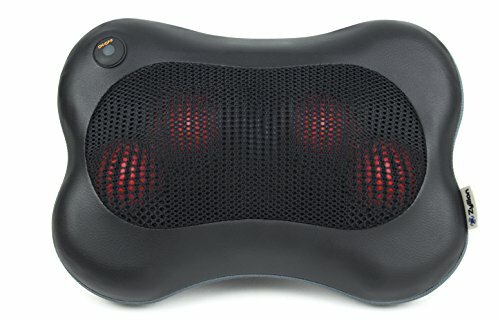 Making this a great gift for any laptop user that has aches and pains in their neck, shoulders, or lower and upper back. To find out more about how to beat back pain at the computer click here. Many people that suffer from back pain experience it as soon as they wake up in the morning. And this usually ​has something to do with the mattress they are sleeping on. Because using an old and out of shape mattress is a killer for your back. As if it's too hard then it puts too much pressure on your pressure points, making it impossible for your body to relax, leaving you sore and stiff in the morning. Alternatively, if it's too soft you sink into it too much. There is also the fact that using a busted mattress can lead to plenty of sleepless nights, where your body won't get the rest it needs to repair, heal and recover. Which will not only give you back pain, it'll also leave you feeling knackered in the mornings. But what can you do about this when mattresses are so damned expensive to replace? As these toppers can breathe new life into an old mattress, making a soft mattress firmer, or a hard mattress softer, depending on which type of topper you go for. So if you know someone that has a mattress that is too firm, get them a memory foam mattress topper, as this will soften it up and relieve pressure on their body. And the one I'd recommend for this is the Pure Green Natural Latex Mattress Topper. Both of these mattress toppers will make a great gift for people with back pain​. 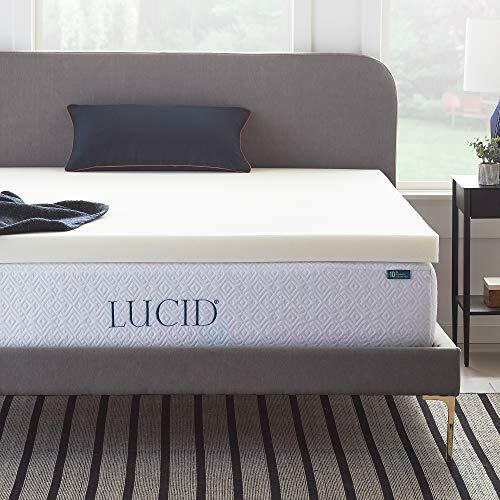 Click here to find out which latex and memory foam mattress toppers are best for people with back pain. While we are on the subject of back pain while sleeping, another good gift idea to get someone is a knee pillow. As these are great for relieving back pain for people that sleep on their sides. Now sleeping on your side is a pretty good position for your back, especially if you keep your knees in the foetal position. As this takes the pressure off your joints and spine as you sleep. However it can be hard to maintain this position and people tend to end up out of alignment. So a good way to stay in the ideal position is to place a firm pillow between your knees. This will keep them together and will also keep your spine and pelvis in a neutral and healthy position. 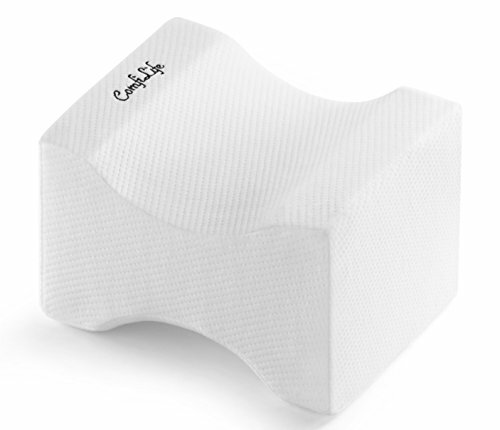 And a great one for this purpose that makes a really good gift is the ComfiLife Orthopedic Knee Pillow. This is made of memory foam so is firm yet comfortable, and using one is great for taking pressure off your back and also for relieving sciatic pain. However for other types of sleeping positions you will need different types of pillows to get a similar effect. People that sleep on their backs should use a wedge pillow under their knees to ease the pressure on their backs. As this will flatten the arch in your spine and take the pressure off your facet joints, while also reducing any strain on your back. So a good one that can do this well is the Cushyform Half-Moon Wedge Pillow. Sleeping on your stomach is not the best idea for your back but it can be hard to break the habit. But if you can only get comfortable by sleeping on your stomach, a strategically placed pillow can make all the difference. So to maintain spinal alignment and reduce the strain on your back you should place a flat and soft pillow under your pelvis. To find out more about how using the wrong pillows can cause back pain click here. Don't be a plank, try yoga or pilates. Staying active is one of the best things you can do for your back. And both yoga and pilates in particular have been found to be helpful for people with chronic lower back pain. As they are a great way to stretch and keep your muscles flexible while also building and maintaining strength in your core which helps to support your back. ​Now while there are crossover exercises in both they are essentially very different. As yoga is a more gentle and spiritual practice, whereas pilates is a bit more of a workout. Improved flexibility (especially in the hip, groin and hamstring areas) which is great for reducing the load and strain on your lower back. Strengthening your deep-lying core muscles which helps to provide better support for your spine and a more balanced body. They train your body to maintain a good posture as you move through the poses and this is something you carry outside of the class too. You get into the habit of syncing your breathing with your movement. This helps your body to relax and let go of any tension that is being held in your muscles. They encourage the release of endorphins which work as the body's natural painkiller. All of which will help you to become more mobile and active while also reducing pain levels. And both yoga and pilates have been shown to improve people's moods too, so you'll be left feeling happier and with a more positive outlook. Both of which are vital when it comes to managing chronic lower back pain successfully. So a gift of a months membership or passes to a good yoga or pilates class could really kick start someone's desire to tackle and beat their back pain. And this simple change of lifestyle can help them for years to come. What a gift that would be eh? For some more exercise ideas that are good for people with back pain click here. I hope that run down has given you a few ideas of what to get your loved one the next time you are buying them a gift. ​Now getting them something to help their back pain may be thinking outside the box when compared to regular gift ideas. But it's also a gift that is incredibly thoughtful. Because you are getting them something that will help them with their back pain and could really change their life. And that makes it a pretty good idea in my book (and a far better alternative to socks! ).